It’s that time of the year when folks are looking for the IRS rebate checks. There are many advantages to save money with Hybrids and Electric vehicles. The IRS in the state of Nevada offers a $7500 tax credit on your personal taxes for electric vehicle purchase. NO SMOG on most Hybrids and Electric vehicles in Nevada. You can save at the pump as well, now that summer season is knocking on the door, because gas prices always go up in the summer. Might be a good idea to take that tax check and invest in a new or used hybrid vehicle of the future or repair your existing vehicle that may need repair. Southern Nevada residents start planning to have your A/C unit on your vehicle tested before summer is in full swing. Plan ahead and make that appointment to get your vehicle’s battery, belts and hoses checked as well. Summer in the desert can be very brutal on a vehicles cooling systems, tires and plastics, not to mention the stress toll it puts on drivers. 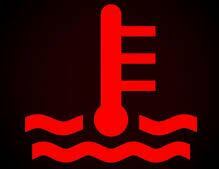 Don’t wait until it is to late and you are stranded in the scorching heat with no water and a broken down vehicle. Your tax check could be well worth the investment into preparing your vehicle for the summer. The Big G Auto Team, located in Henderson Nevada has the experience and equipment to make sure your vehicle is not going to be a victim of the 110 plus temperature spikes all summer long. Big G Auto has the diagnosis equipment to handle your Vehicle Services at a competitive price in Nevada communities of Henderson, Green Valley, Tuscany, Lake Las Vegas, MacDonald Ranch, Anthem and Boulder City. Thank you for considering us for your next Pre-Summer Vehicle Check Up! This entry was posted in American Made Vehicles, Big G Auto Repair, Hybrid Vehicles, Import Vehicles. Bookmark the permalink.